NOT SPECIAL K tho ?? At the Royal Project Store ( Central Plaza ) A lot of fresh fruits: Mangoes several varieties, small plums, figues, peaches. Capsicum (Bell ) peppers , one each red , yellow and green, 25bht ..
Have a nice healthy day. 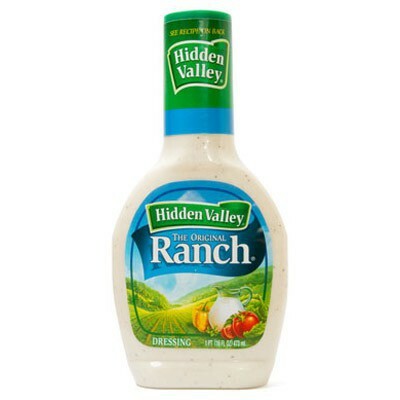 I've been hunting for Hidden Valley Ranch salad dressing ever since I got here. Found some online here from BKK. It was great and filling the void, but then the company stopped stocking it. I've hunted around, but haven't located any. Maybe I'm hitting places at the wrong time. Why are Kellogs Special K so expensive here ..my fav by far , im assuming they are not produced here and are actually imported therefore incurring the duties etc . Three large boxes of fully imported (has £2.99 on the box) Special K remaining at Villa yesterday. Called my banks relationship manager and agreed that I could buy one. Last edited by tamada on May 29, 2018, 9:49 am, edited 1 time in total. This topic seems to be all about food but if any one is interested the Pierre Cardin dept in Robinsons is doing a buy one get one free on an excellernt range of their mens shirts .Quality on a budget . Nong Khai Lab Does it for 900 Baht Mate....Still You're a Kopite so yer can pay INFLATED Prices....LOL !! NOT the Deal of The Week.....Tesco's Own Brand Cornflakes Up from 79 Baht to a WHOPPING 175 Baht.....WTF !! @747 , drive all the way to boring nongkhai ? no thanks...But YOU Would BORE Anyone,Anywhere,with you're complaints about Sergio Ramos......LOL !! Thai Hami melons at Makro......55 Baht per kilo. We bought two today......just over 5 kilos. Sweet, crunchy.....easily double the price at Tops.